ONLY SOLD TO VERIFIED SPECIAL CONSTABLES. 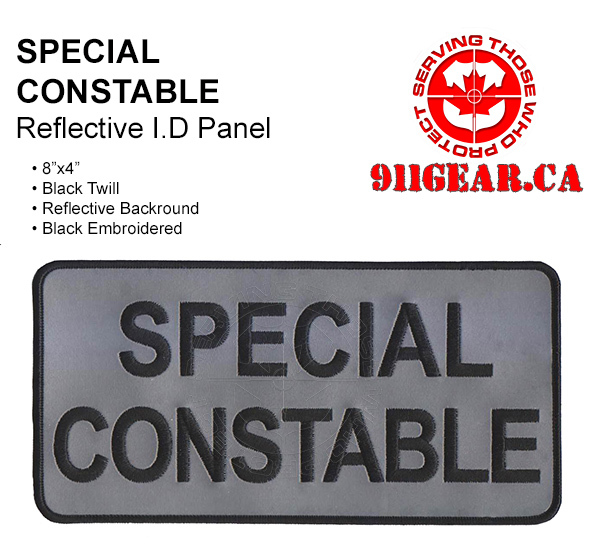 SPECIAL CONSTABLE reflective patch 8 inches by 4 inches for uniforms and duty jackets, outerwear etc. Can also be used on Duty bags and other accessories.